HARBWR BREWERY TENBY JOIN THE STREET FOOD WAREHOUSE 2019 TOUR! 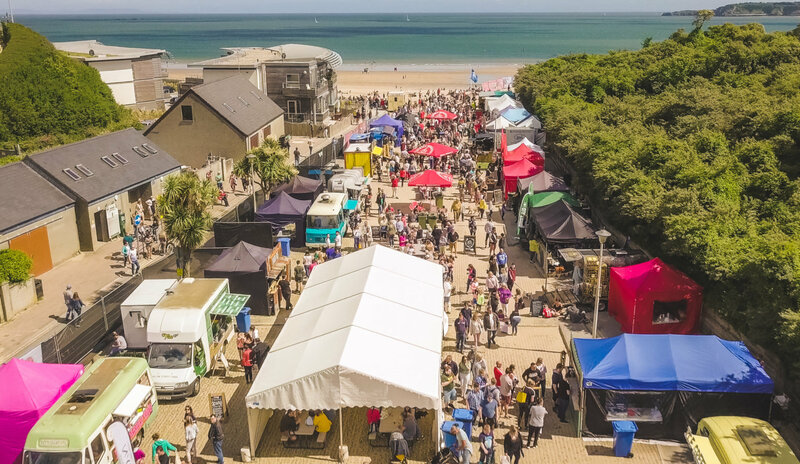 As a Welsh-based business, the Street Food Warehouse team love nothing more than touring our street food events across some of the most beautiful parts of the homeland. Last year saw us hitting Swansea, Pembrokeshire, Aberystwyth and Milford Haven with a horde of our favourite street food vendors, and this year we’ll be returning to these four destinations on our Street Food Tour for another summer of glorious food and, hopefully, weather. A question: what are the finest things to have come out of Wales? Well; Dylan Thomas, Welsh cakes, Gareth Bale, and of course – Street Food Warehouse, to name a few. But here’s another for you to add to the list: HARBWR Brewery Tenby. Across our Welsh street food festivals this summer, HARBWR will once more be the official suppliers of ale for Street Food Warehouse’s sister company, Pop Up Bar Hire, and we couldn’t be more excited to have them back on board. A family business with a wealth of experience in high-end food and drink, the HARBWR gang began their brewing adventure in the late summer of 2015. With a newly refurbished brewery situated in the heart of Tenby’s charming and bustling harbour, the team endeavour to capture their wholesome and quintessentially Welsh surroundings, producing high-quality beers with a personal touch. Backed by the Welsh Government and Pembrokeshire Lottery in the brewery’s building development, HARBWR is already on its way to becoming an institution; now recognised as one of the must-visit spots in Tenby, the team have already started racking up awards. Last year, Rob Luly of the HARBWR team collected the coveted Bronze award for British Premium Cask Bitter for the brewery’s ale ‘RFA Sir Galahad’, beating off over 180 other cask ales. Huge! For more information about our exciting partnerships, as well as information about competitions and the vendors at our festivals, head over to our Facebook or Twitter.